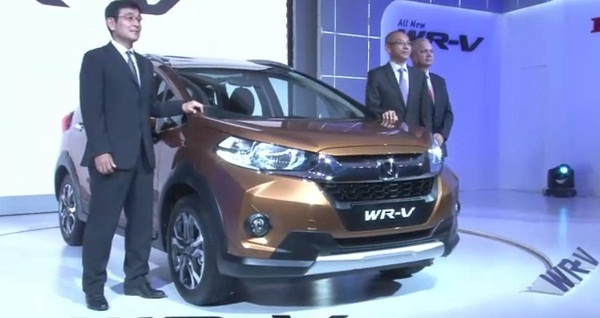 Japanese car maker Honda Motors has launched the highly awaited crossover WR-V in Indian car market with starting price of Rs. 7.75 lakh (ex-showroom price, New Delhi) for the petrol variant and Rs. 8.99 lakh (ex-showroom price, New Delhi) for the diesel’s base variant. It would be interested to know that India is the first country where the car maker has launched this new vehicle and now it will make its entrance in other car markets across the world. The crossover has been launched only in two trims S and VX in both the variants. Developed on the Jazz’s platform, under the hood WR-V receives 1.2 litre i-VTEC petrol engine boosting the power of 90 PS and torque of 110Nm and 1.5 litre i-DTEC diesel engine that is capable of generating the power of 100 PS and torque of 200Nm. Both the engines are mated with five speed and six speed manual gearbox system respectively. According to the sources of Honda Motors the five speed manual gear transmission system introduced in petrol variant is first of its kind and will offer enhanced performance. The petrol variant is reported to deliver an average of 17.5 kmpl while the diesel is reported to deliver fuel efficiency of 25.5 kmpl. 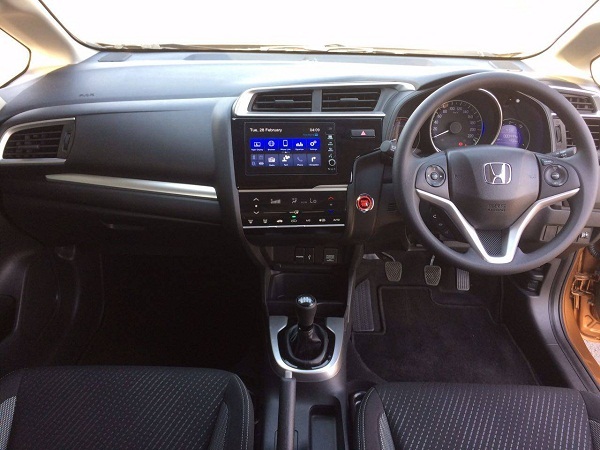 Moving towards the features offered on the exterior and interiors, inside the cabin it receives option of two color treatment including black & blue and black & silver, spacious cabin, seven inch infotainment system, which is same as introduced in facelift Honda City sedan. The infotainment system although will not support Apple Car Play and Google Android Auto, but will feature mirror linking through smartphone integration. It will support connectivity with navigation system and Bluetooth. On the exterior front it receives muscular outlook through body cladding that gives it an aggressive appearance like SUV. LED DRLs are offered as standard feature. The new rear bumper and taillamps give the crossover a distinctive look as compared to Jazz hatchback. An interesting feature about Honda WR-V is that it is the first vehicle by the Japanese car maker that has been developed in India under the flagship of its alliance HMIL in collaboration with R&D team from Japan. 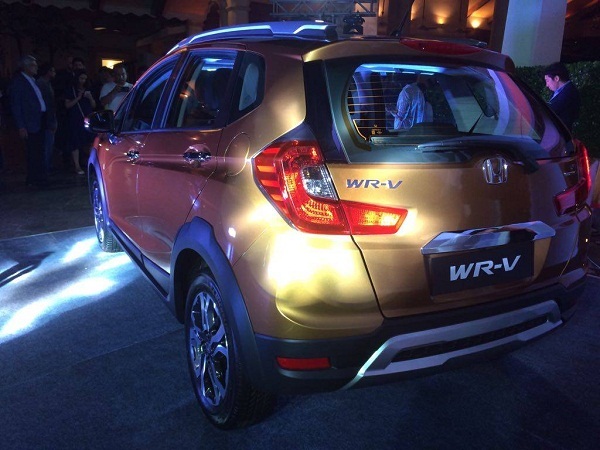 The term WR-V refers to ‘Winsome Runabout Vehicle’.